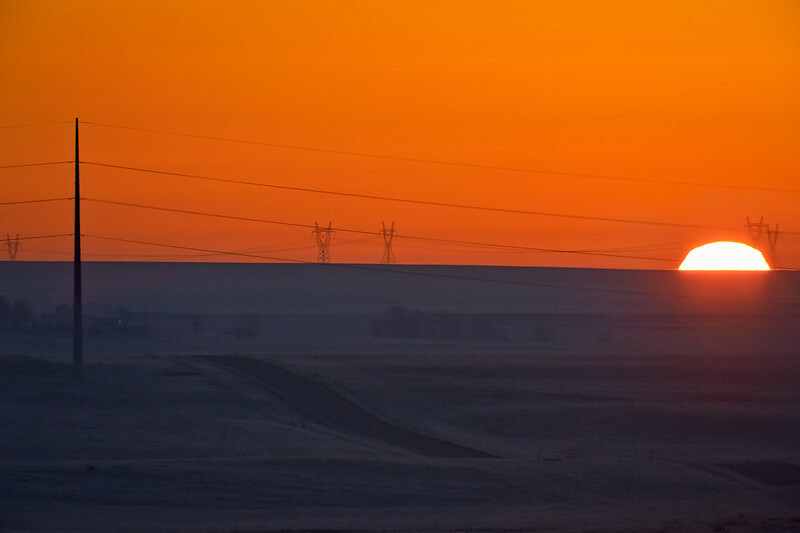 A sunrise from this past foggy weekend is greeted by an assortment of transmission lines in a major transmission corridor in northeastern Colorado. Shot Notes: nothing too special, no hdr or anything. The main trick was using my 300 mm telephoto with a 1.4x teleconverter for this landscape to provide some foreshortening perspective.